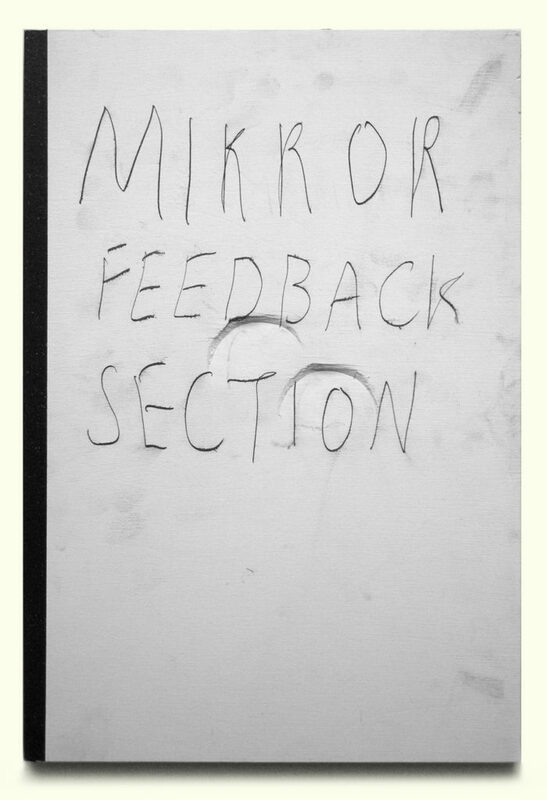 MIRROR is written on a plywood panel using carbon paper. A triangular piece of glass is blackened using smoke until opaque on one side, making it reflective on the opposite side. FEEDBACK is written on the plywood panel using carbon paper. The reflective side of the glass is blackened using smoke until opaque black. SECTION is written on the plywood panel using carbon paper. 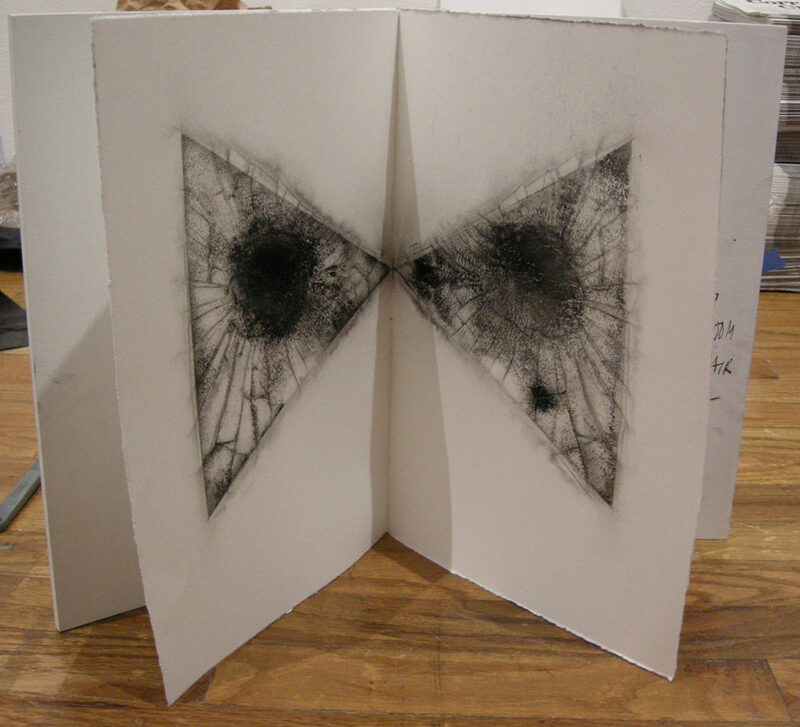 The smoked glass is folded inside a sheet of paper that is subsequently placed between both the panel with the text and a second plywood panel. The text-panel is hit hard with a sledgehammer, smashing the glass and transferring the carbon directly from both sides of the glass to the paper. The broken glass is emptied out. 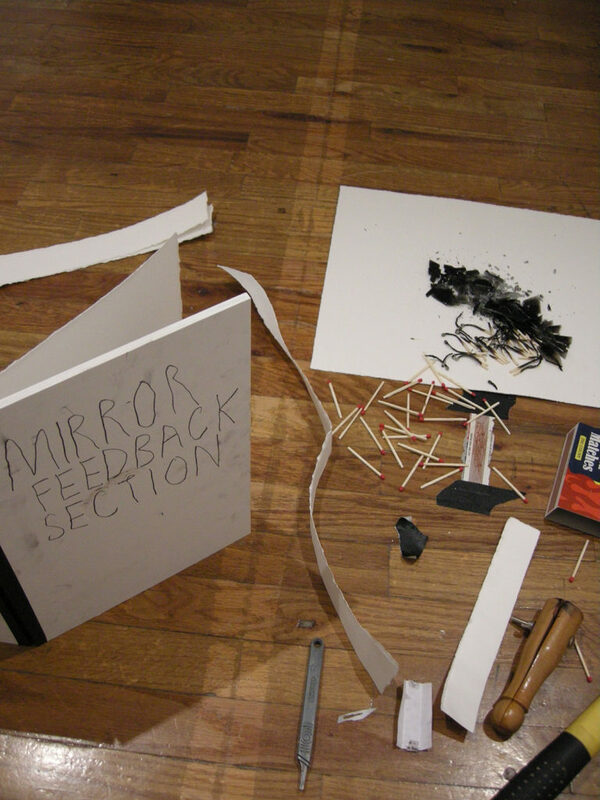 The panels and folded sheet of paper are bound using tape to form a book with the text visible on the front. Painted plywood, paper, carbon from carbon paper and smoke, glass debris, tape.